Item # 310247 Stash Points: 5,795 (?) This is the number of points you get in The Zumiez Stash for purchasing this item. Stash points are redeemable for exclusive rewards only available to Zumiez Stash members. To redeem your points check out the rewards catalog on thestash.zumiez.com. 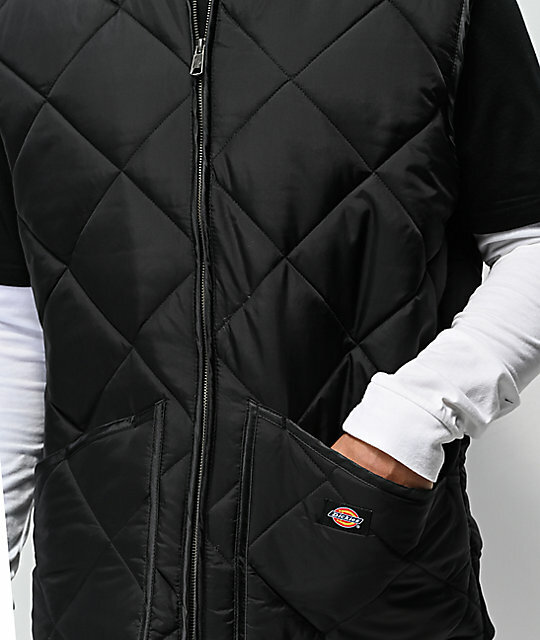 Stay warm while providing yourself a fashionable layered look with the Dickies Black Quilted Vest. 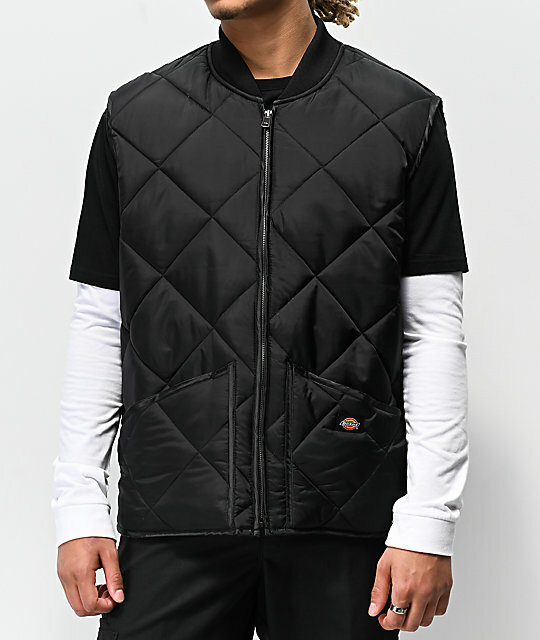 Constructed with a padded quilted construction and a soft textile lined interior, this vest is extremely comfortable and comes complete with a DWR coating for water resistance. 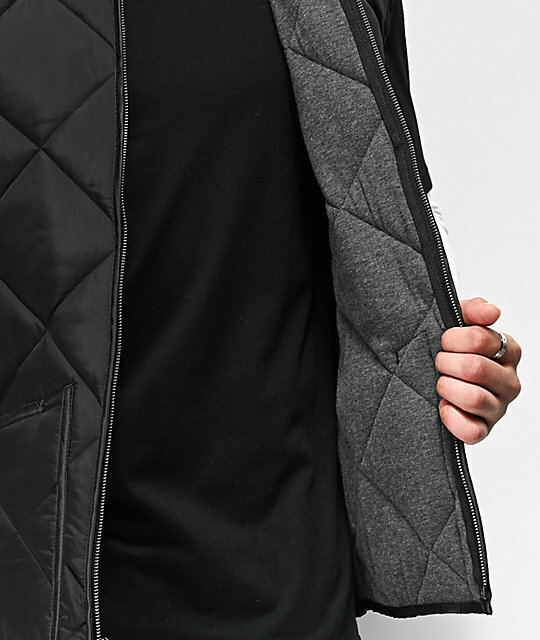 With two convenient hand pockets and an overall simple composition, the Black Quilted Vest is easy to pair with hoodies, long sleeves and button ups. 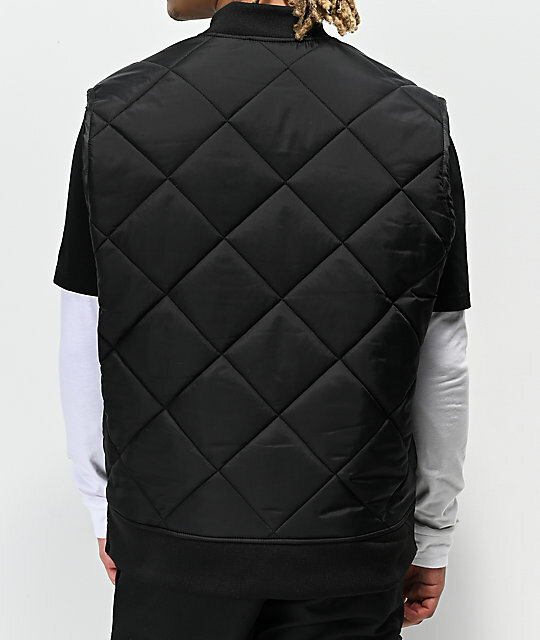 Black Quilted Vest from Dickies. Elastic ribbed collar and back bottom hem. Two front hand pockets with woven brand patch on left pocket. Padded quilted soft textile lining. Body: 100% nylon, body lining: 65% polyester, 35% cotton.